Acute angle closure glaucoma, (AAC), is a serious condition that happens when your iris and your cornea move close together. This closes the angle between them, blocking the normal drainage of fluid inside the eye, causing intraocular pressure to rise. When this happens suddenly, it is called an acute attack. 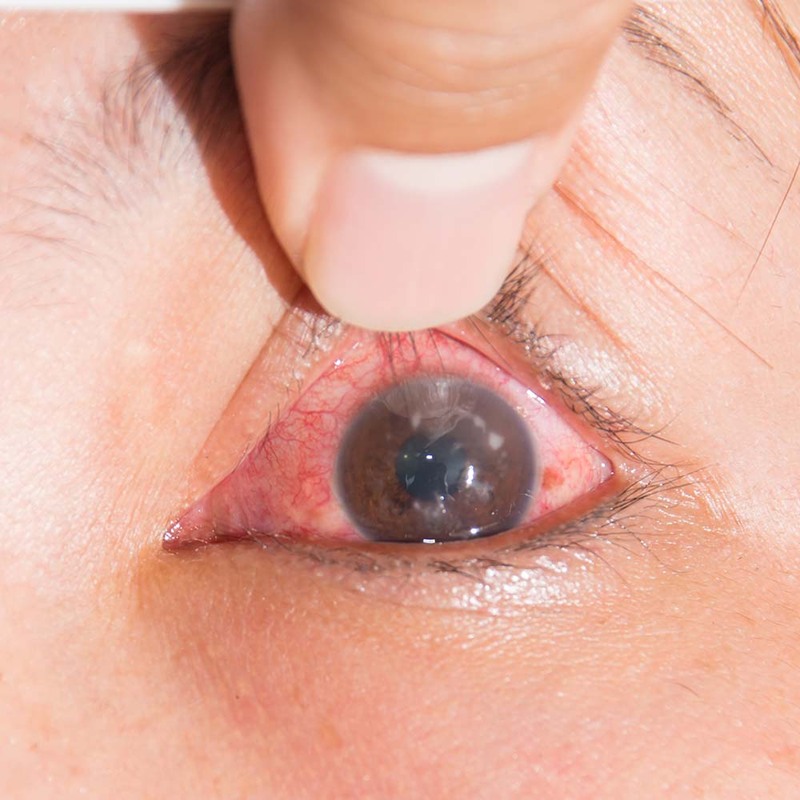 Because of the suddenness of acute angle closure glaucoma and the serious and debilitating effects it can have, AAC is considered a medical emergency and should be treated as such. Because normal drainage cannot occur, acute angle closure glaucoma puts you at a serious risk of loss of vision or blindness due to damage to the optic nerve. This can happen within hours of the onset of the condition. For this reason, acute angle closure glaucoma should be treated as a medical emergency and immediate treatment should be sought if you experience any of the below signs and symptoms. The signs and symptoms of acute angle closure glaucoma come on very quickly, you will not be able to ignore or miss them. Who is affected by acute angle closure glaucoma? Anyone can be affected by the condition, but it is most common in those who are 70 years of age or older and in those who have narrow angles. Certain ethnicities have biologically narrower angles and should have more frequent eye pressure checks. Immediate treatment is needed for acute angle closure glaucoma if loss of vision or blindness is to be avoided. Loss of vision can occur within just hours of the angle closing. Walk-ins are available here at the New Jersey Eye Center in Bergenfield, NJ. You can also talk to us about what to do in an emergency if you have narrow-angle glaucoma. It is important to be prepared: those with narrow angles or a diagnosis of narrow-angle glaucoma are more likely to be affected by acute angle closure glaucoma. Here at the New Jersey Eye Center in Bergenfield, NJ, we are glaucoma experts and our doctors include glaucoma surgeons and specialists. Because the best way to maintain good eye health is by getting regular pressure checks, we make it easy for you to get checked out. Our walk-in clinic is open from 8am 6 days a week. You can also make an appointment online or by making a phone call. If you would like more information about emergency angle closure glaucoma treatment, please get in touch with us today. You need to know how best to prepare or prevent acute angle closure glaucoma, if you have a pre-existing diagnosis of narrow-angle glaucoma. Short Description: Acute angle closure glaucoma, (AAC), is a serious condition that happens when your iris and your cornea move close together. This closes the angle between them, blocking the normal drainage of fluid inside the eye, causing intraocular pressure to rise. When this happens suddenly, it is called an acute attack. Here at the New Jersey Eye Center in Bergenfield, NJ, we are glaucoma experts and our doctors include glaucoma surgeons and specialists. If you would like more information about emergency angle closure glaucoma treatment, please get in touch with us today.